7th Pay Commission Latest News: A Bharatiya Janata Party (BJP)- ruled state has increased the pension of the retired employees by at least 300 per cent. The news comes a few months before Lok Sabha Elections 2019. 7th Pay Commission Latest News: At a time when over 50 lakh Central Government employees and an equivalent number of retirees are waiting for the Centre to announce a hike in minimum pay and fitment factor beyond 7th Pay Commission recommendations, a Bharatiya Janata Party (BJP)- ruled state has increased the pension of the retired employees by at least 300 per cent. The news comes a few months before Lok Sabha Elections 2019. The Uttar Pradesh government has reportedly announced that those Lucknow Nagar Nigam (Municipal Corporation) employees who have retired before 2019 will get a hike of 300 per cent in their pensions. A report in Jansatta states that these retired employees are currently getting a pension of Rs 3,500, which will increased to around Rs 9,000 following the announcement by the Yogi Adityanath-led state government. Speaking to the media, Municipal Corporation Employees’ Association Head Anand Verma said that the decision on increasing the pension of employees who retired prior to 2019 has been taken and it will be implemented at the earliest. 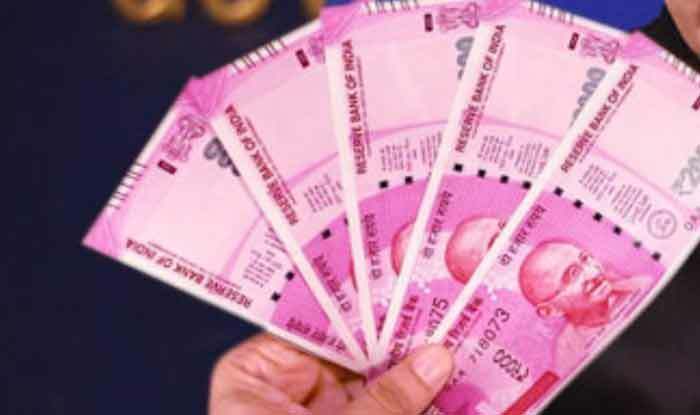 Meanwhile, the Ministry of Human Resource Development on Tuesday approved a proposal to extend the 7th Pay Commission recommendations to academic staff of government and aided technical institutions with granting of Rs 1,241 crore for the purpose. The news came at a time when reports are doing rounds that Minister of State for Finance P Radhakrishnan has for the second time claimed that the Centre is not mulling over the proposal for an increase in fitment factor for the CG employees. The development has dashed the hopes of 50 lakh Central Government employees and an equivalent number of retirees, who are seeking a hike in minimum pay and fitment factor beyond 7th Pay Commission recommendations. Radhakrishnan had made a similar claim in March 2018 as well when he said that the Centre is not considering a raise the minimum pay and fitment factor of 50 lakh Central Government beyond 7th Pay Commission recommendations.